Download a set of FREE Navy Place Cards for your next dinner party or wedding reception. 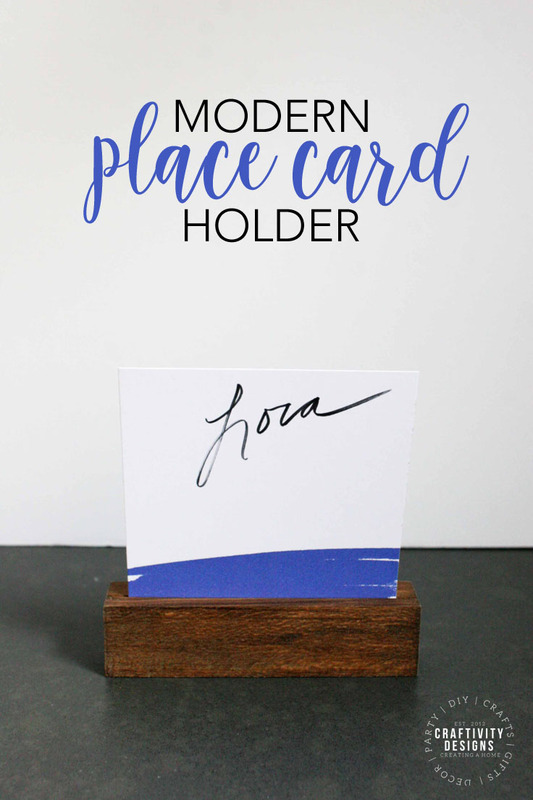 This set of printable place cards sit perfectly in a DIY place card holder (that is SO easy to make!). Are place cards needed for the typical dinner party? Nope. 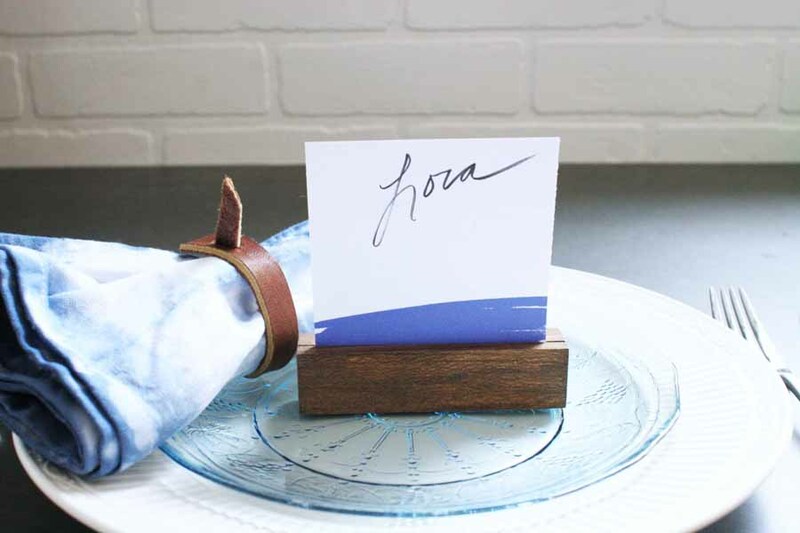 Are place cards a fun and stylish detail at a dinner party? Yes! Like a centerpiece, a table runner, napkin rings, or candles — place cards aren’t necessary — but they are lovely! And, I think you will love this simple set of navy place cards for your next dinner shindig (whether its a wedding or just dinner with the family!). First, download the Navy Place Card PDF File which is available for download at the end of this post. Next, print the file onto white cardstock. 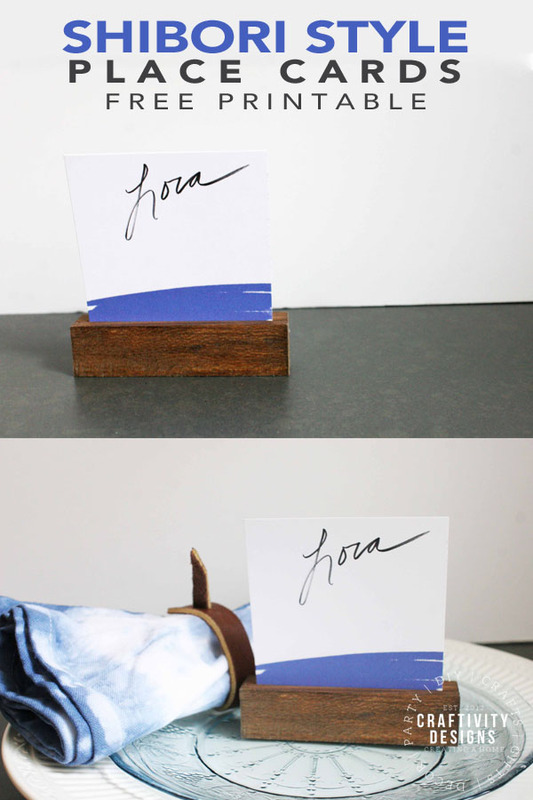 Once printed, cut the place cards into approximate 3.5″ x 3.5″ squares using a 12″ paper trimmer. 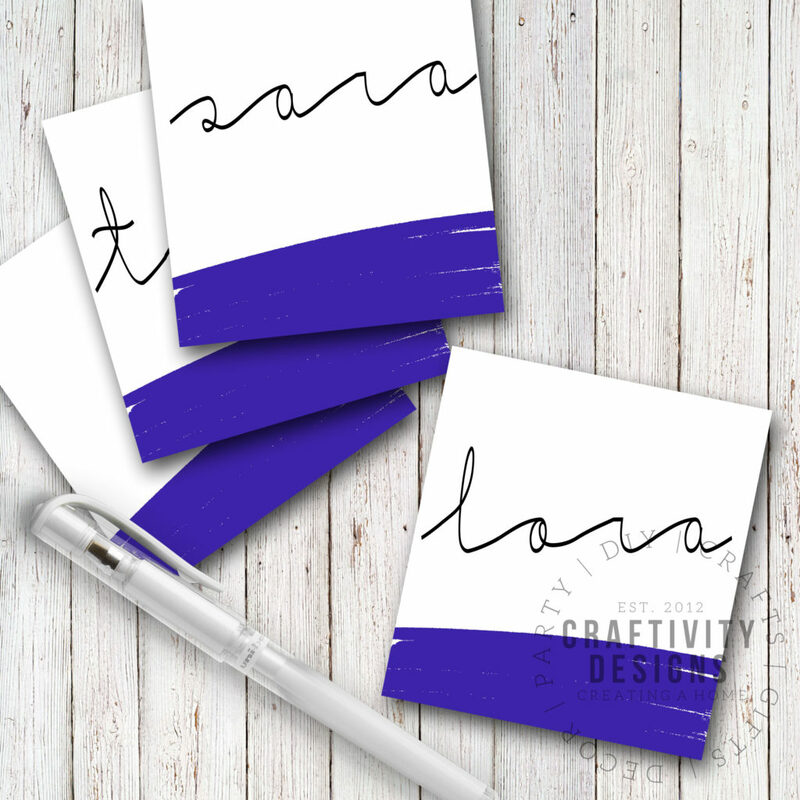 Use a brush stroke pen to easily write beautiful names on the card (trust me, my handwriting would not look this pretty without this special brush pen). Now, I know you are curious about that wooden stand, right? It’s SO easy to make. 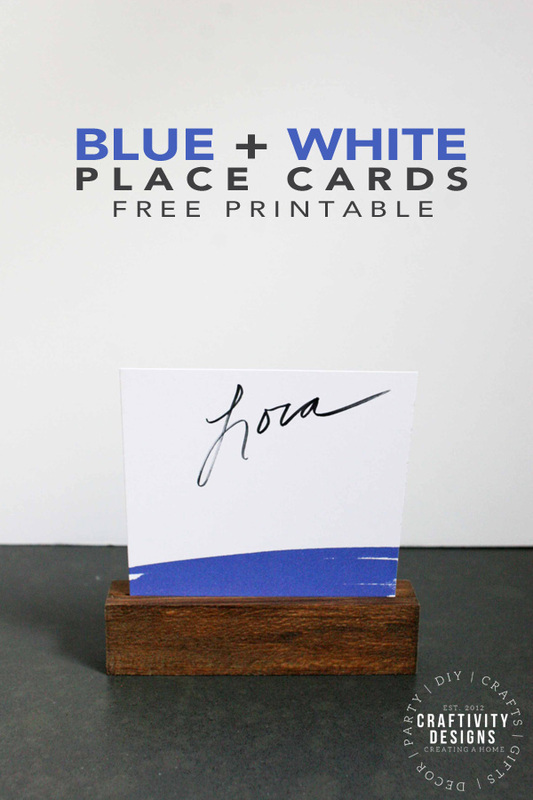 Like the printable place cards, the wood place card holder is complete in only a few simple steps! 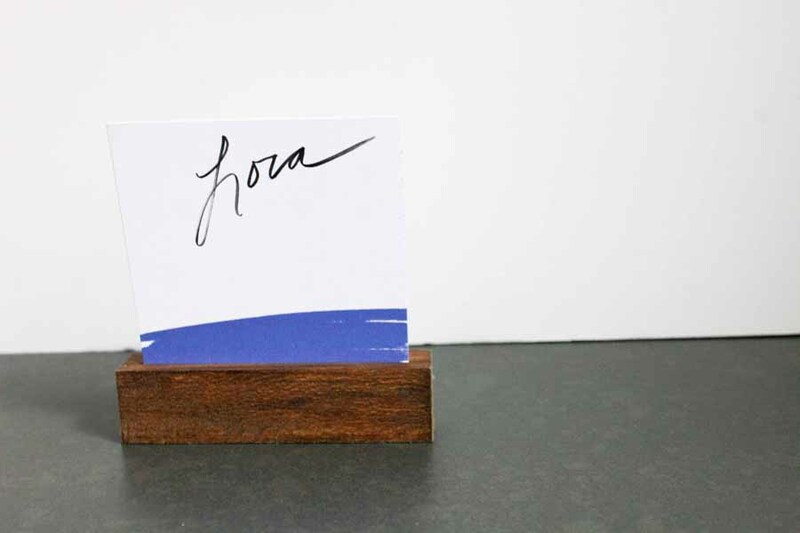 My guest post over at Kennary includes the supply list and instructions to make your own set of wood place card holders. Like this post? Don’t forget to pin it and save it for later! 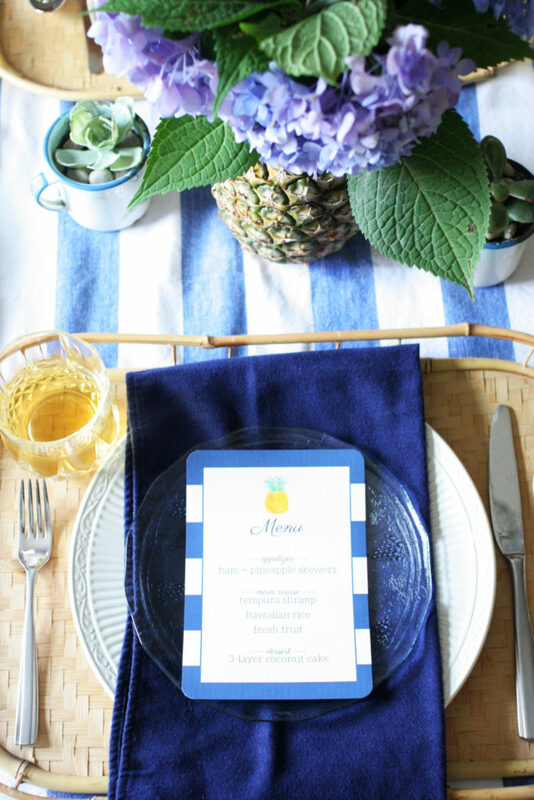 Download and print an editable pineapple themed menu for a summer party. 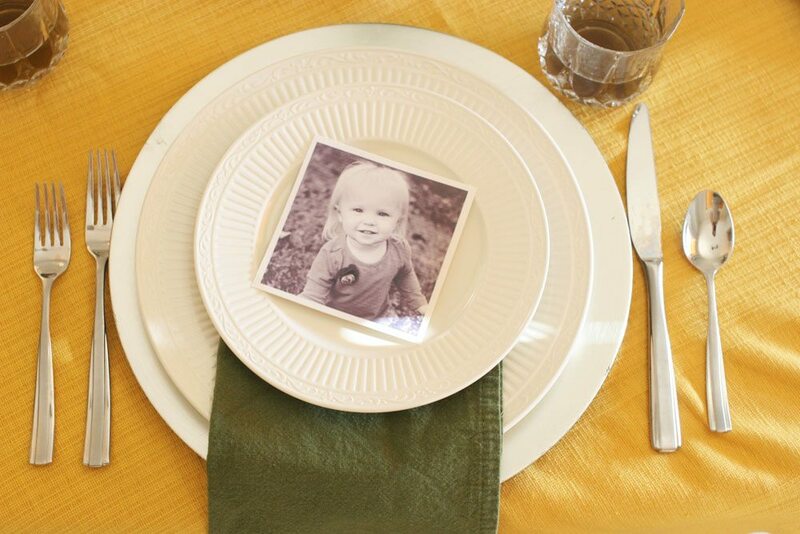 Make black and white place cards with family photos for Thanksgiving. 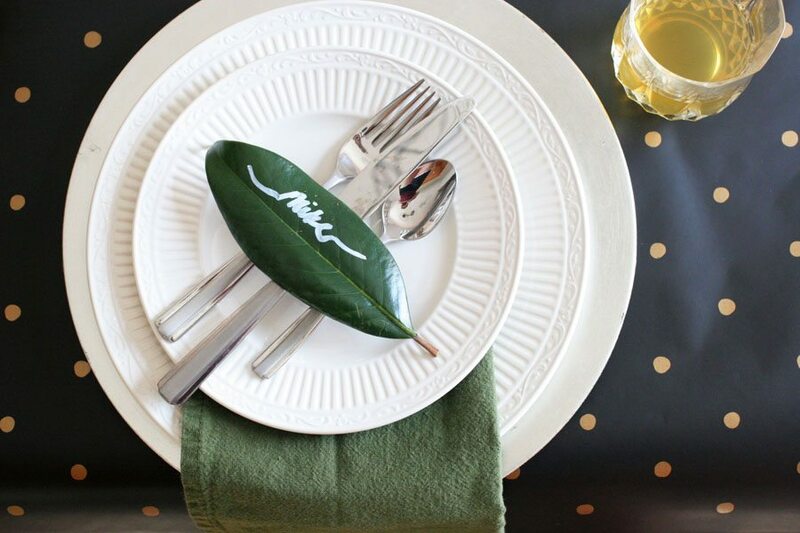 Write names on magnolia leaves for an elegant holiday tablescape.